Gifting to your loved ones is an essential part of Indian culture and is special. However, it often leaves many of you hassled as you are unable to come up with appropriate gifting ideas. 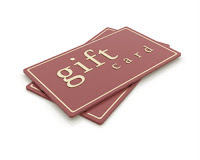 For all those of you who face a tough time in choosing gifts, a pre-paid gift card is an excellent option. accumulate debt on the card. It is also not like a debit card as the amount spent is not linked to the bank account. Features of pre-paid gift cards?